888 Casino has been in play since 1997. In 2005, it listed on the London Stock Exchange. Thanks to its good work at providing quality games and services, the casino has managed to garner a number of awards. One such award is the 2015 Gaming Intelligence Award for Best Casino Operator. This 888 casino review will explore different aspects of what makes it one of the leaders in the industry. 888 Casino is home to over 270 games. Players can look forward to a variety of games from classic slots to jackpot slot, table games and live casino games. It has a license from the Government of Gibraltar in addition to being regulated and certified by a number of bodies in the world. Its European services are operated by Virtual Digital Services Limited while those in Ireland are regulated by Ireland’s Revenue Commissioners. 888 casino prides itself on responsible gambling which is why there is an entire page dedicated to this topic. It doesn’t stop at playtime, however; humanity is also important which is why it is one of the founding members of the International Medical Corps UK. This came into the picture in 2013. With this foundation, thousands of lives have been touched over the years. It’s not all about providing a gaming platform, lending a listening ear is also important for the founders at 888 casino. This is why there is a 24/7 support system in place to cater to customers queries and complaints. The casino offers support through live chat or via email. If English is not your first language, then there is no need to fret as the casino offers services in 18 languages. Software providers include Electracade, Random Logic, Dragonfish, GamesOS/CTXM, 888 Gaming, Cryptologic, Cassava, Edict (Merkur Gaming), Blueprint Gaming as well as IGT (WagerWorks). As for the casino software, over the years, it has had tweaks and improvements to the sophisticated software it is today. As such, players can look forward to enjoying a world of games either through instant play or after downloading the software. Important to note, however, is that the download version is only compatible with Windows PC. If yours is a Linux or Mac, then you will have to make do with the Flash casino (instant play). There is a Premium Welcome package where players get to enjoy up to $1500 in the first week of registration. In order to access this promo, you have to make use of the provided 888 casino promo code. If you deposit a minimum of $20, you are legible for a 15-40% win of up to $200. This promo is for the casino’s 21st birthday celebration, and there is a code provided for those who wish to participate. Every 1st of the month there is an opportunity to win between $8 and $188 in bonuses. All you have to do is log in on the 1st of the month. The downside is that the more players log in, the lower the share-cost. For example, if 20 players log in then an $8 bonus will be given out. If on the other hand 2 players log in then a $188 bonus will be given out. Every 21st of the month there is an opportunity to enjoy up to $300 in free play. Live casino players will be glad to know that they are not left out! Blackjack players have to promos out with a chance to win between $750 and $1,200 every day. The $750 win can be enjoyed at the 88Xtra table while the $1,200 win can be enjoyed at the 88VIP table. Both wins are available between 1 pm and 1 am (GMT). 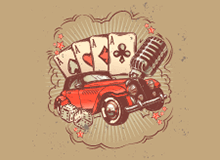 There is also an opportunity of enjoying comp points simply by participating at the casino. The beauty of these points is that they can then be redeemed for cash. Besides the above-mentioned promos, the 888 casino bonus also runs daily deals. Sundays are for a chance to win at the raffle; Mondays and Tuesdays are a chance to enjoy up to $150 in free play; Wednesdays are an opportunity to enjoy a $20 cashback. Thursdays are an opportunity to enjoy up to $100 in free play while Fridays have between $8 and $60 free plays to be won. Saturdays, on the other hand, provide an opportunity to enjoy a $100 bonus. 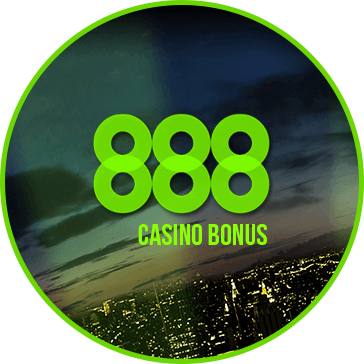 Going by the numerous 888 casino promotions and bonuses on offer, it is easy to understand why 888 remains on most player’s lips. When it comes to deposits and withdrawals, 888 casino makes use of a number of payment platforms. It makes use of Bank Draft, Neteller, Paypal, Mastercard, Visa, Visa Qiwi wallet as well as a cheque. Thanks to the SSL technology used, your payments are safe and secure. In order to make a deposit, you need to register first. When that is done, you may need to check out available payment options in order to choose the most suitable for you. Important to note is that if you are depositing via PC, then you will have to select the ‘Cashier’ option in the lobby. If you are using your mobile gadget, on the other hand, then you will have to select ‘deposit’ and the select menu. Other available deposit methods include ApplePay, ecoPayz, EntroPay Virtual Visa Card, MuchBetter, iDebit, Neteller, Postepay, Skrill, WebMoney, Wire Transfer, Boleto, Trustly, Todito Cash, EPS, Nordea as well as Diners credit card among others. The complete list is on the payment methods page. Deposit processing times depend on chosen payment methods. Bank Transfers may take up to 10 business days while ApplePay, debit cards or credit cards may take up to 10 minutes. Boleto, on the other hand, may take between 1-4 business days while Todito cash is immediate. Withdrawals are relatively simple. Once logged in, you will have to select the ‘Cashier’ button on your screen if you are using a PC. If you are using a mobile, then you will have to select. After which, you will have to enter how much you wish to withdraw followed by the withdraw method you wish to use. Generally speaking, withdraw processing times will depend on selected methods. As a general rule, the 888 withdrawal time is limited to three business days following a withdraw request. However, there are instances where this may take longer for example when further verification is needed on your identity. Gold VIP members, however, enjoy the privilege of faster processing times (within one business day). Visa credit card withdrawals have an 8-day wait window from the time of making the request. Maestro Debit users have a total wait time of 10 days. Skrill users have a 4-5 day window. Neteller users have a 4-5 day window for ordinary players and a 2-3 day window for VIP players. Paypal users have a 4-5 day window for ordinary users and a 2-3 day window for VIP members. Ecopayz has a 4-5 day window. Entropay card has a 5-6 day window for ordinary players and a3-4 day window for VIP. A number of provided games are fully compatible with mobile gadgets. As such, it is relatively easy to enjoy given games on your iPad, iPhone or Android devices. 888 makes a great effort in supporting its customers. An online live chat platform is available in addition to help via a 24/7 customer support service. For the support service, all you have to do is select the ‘contact’ option, and you will be transported to a form you have to fill. Normally help will be available within a 24-hour window. All necessary steps are taken to ensure that 888 remains one of the best online casinos in the market. Since 1997, it has been in the business of providing quality games to customers. There are hundreds of games available from live casino games to table games such as roulette, blackjack and baccarat. In addition, slots, an all-time favourite for most players around the world are not missing in the list. Security is not compromised for those who choose to participate. The casino takes great strides to ensure that collected information is not compromised. This is made possible thanks to the latest technology used. The casino utilizes the SSL certificate technology for encryption of information. In addition, it is regulated and licensed by the Government of Gibraltar thus ensuring added security and fair play. In short, this 888 casino review highlights all points that make it a worthy try!